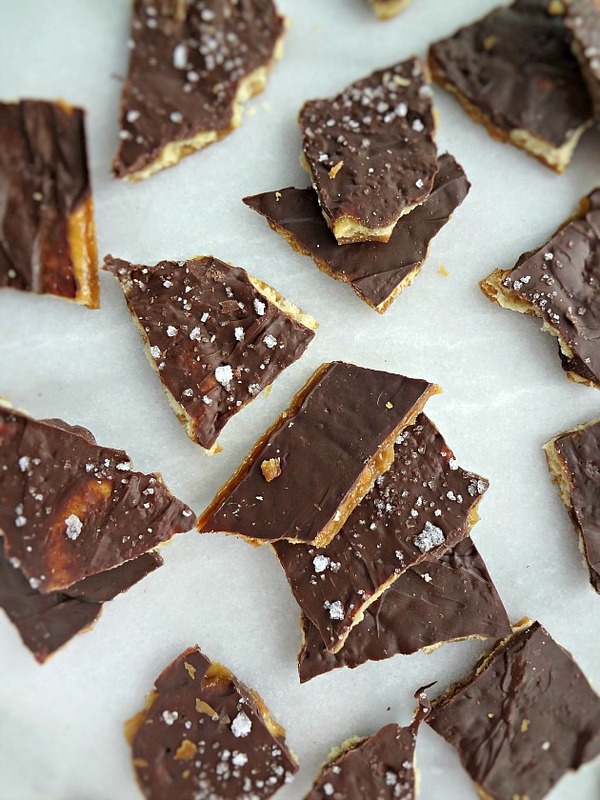 Cracker toffee is amazing. It's so DARNED easy-it's sorta kinda dangerous. And I know you all still are probably thinking about your resolutions but....everything in moderation, ya know? 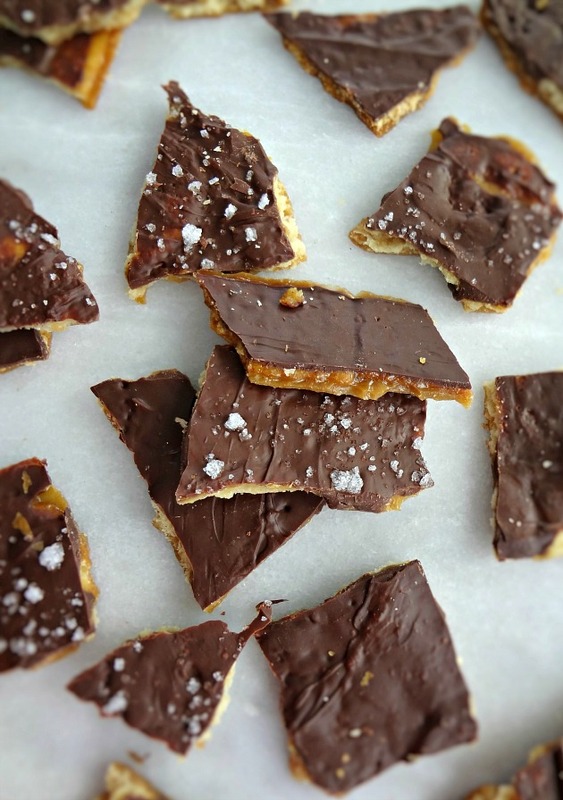 Honestly, I made this toffee over the holidays aaaand you probably could've used it then. But...life happens. So I suggest you make it now, anyway. Or bookmark it for next year! Follow your heart. My brother-in-law's girlfriend has a nut allergy, so I made this toffee nut-free and really...you don't miss the nuts. 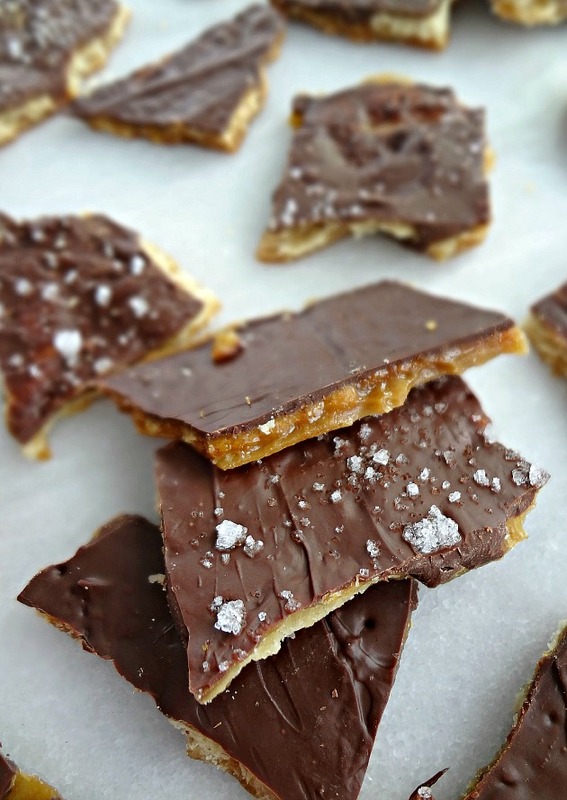 The toffee is so buttery and sugary and addictive and then the chocolate gives it that little extra bit of decadence and THEN I made half with salt on top and half without for that sweet and salty combo. Truth=I prefer with the salt. Next time I'd probably do all salt...if it's just for me. I know not everyone feels this way (even though I have totally made myself a salt-on-desserts missionary, going around and bringing people the good word of balancing the sweet with the salty.) Katie (the girlfriend) totally loved them-everyone did! And again...I cannot emphasize enough HOW EASY these are. 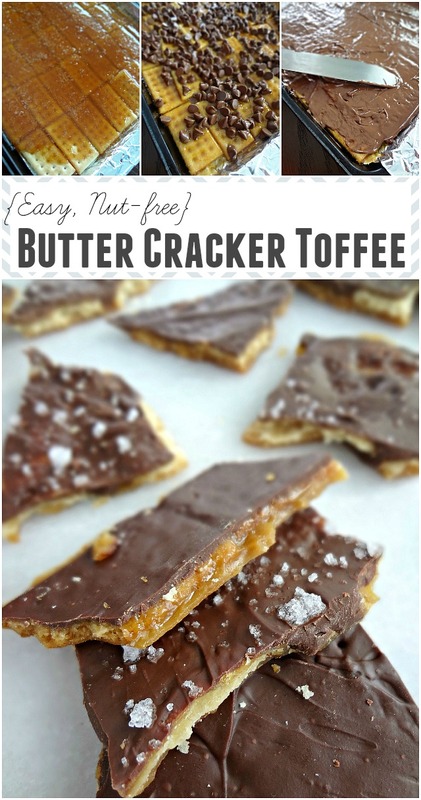 Like...put some crackers on a baking sheet (lined with foil). Boil some butter and sugar. Pour on top of crackers. Bake. Sprinkle with chocolate chips. Spread. Let sit. Chill. EAT THE EVER-LOVING CRAP OUT OF THEM. Or ya know...just be good and have 1 or 2. Personally I think that's no way to live, but I'm not here to tell you what to do. ...but seriously...at least eat 5 of them. 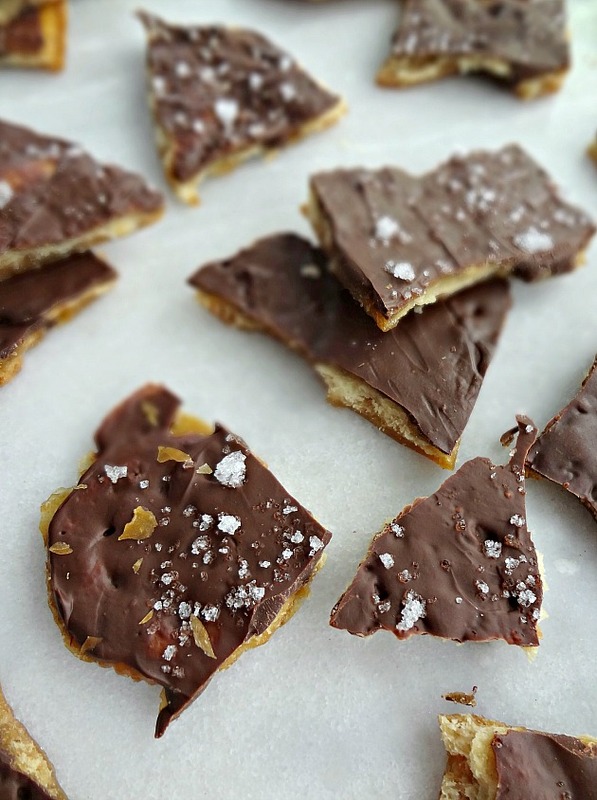 Adapted from Spend with Pennies' "Pecan Christmas Crack (Ritz Cracker Toffee)"
Line an 11x17 pan or baking sheet with foil and grease the foil well. Line completely with crackers. In a medium saucepan, combine butter and brown sugar and stir to mix. Bring to a boil over medium heat and let come to a rolling boil. Once the mixture comes to a boil, DON'T STIR. Boil for 3 minutes. Pour brown sugar mixture over the crackers. Bake 4 minutes. Turn the oven off. Remove from the oven and wait 1 minute. Sprinkle chocolate chips over the top and let sit 4 minutes or until chocolate is soft (or place 1 minute in the warm oven). Spread chocolate evenly and sprinkle with sea salt, if desired. Cool on the counter slightly and then place into the freezer to cool completely. Break into pieces. Store in an airtight container in the refrigerator or at room temperature for up to 1 week. DO YOU SEE THE TOFFEE? DO YOU SEE HOW THE YUM WE ARE DISCUSSING HERE?? !